Nigerian Biography: Biography of Doris Okenwa, Reporter, Presenter, Channels Television. 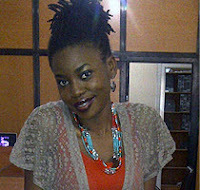 Biography of Doris Okenwa, Reporter, Presenter, Channels Television. presenter with a knack for human angle stories. With a passion for national issues and global events Doris Okenwa has the perfect platform of Channels Television the nation’s leading news station to hone her skills in news reportage. She has anchored a variety of beats ranging from environment, aviation, transport and works. She now reports on foreign affairs, oil and gas but remains very versatile in chasing leads for special reports outside the regular news. She aspires to improve with time doing reports and programmes that will always put the station above and ahead. She is adventurous and find joy in discovering new places, books, movies, music and all things fun. She has made many captivating discoveries and reported several amazing stories. Like in April 23, 2013 she went to a very remote village in Abuja called Kukara where she did a report on the killing of twins in the community. A practice which was stopped by missionaries leaving only a set of twins alive as at the time of the report.